B.	Sulphur Content – representative of how light and sweet or sour the crude oil is. West Texas Intermediate is one of the largest traded commodities in the world; a high-quality crude oil explored and physically traded in the U.S. Its API gravity is approximately 39 API and has 0.24% sulphur content. The New York Mercantile Exchange (NYMEX) is the primary exchange aids futures trade in this light sweet crude oil. Crude oil from the North Sea, UK, Brent is a pricing benchmark for crude from Europe and Africa. With an API O gravity of 38 API and 0.4% or less of sulphur content by weight, Brent crude oil is the second most traded variety of crude in the world. It is normally taken as the arithmetic average of Oman and Dubai crude grades. An API gravity between 31 API and 37 API and 2.05% or less of sulphur content by weight makes Middle East Crude Oil a heavy and sour crude oil. It is an assortment with a very large physical market in the Gulf region. Most of the Indian refineries use crude benchmarked against Middle East Sour Crude Oil. TOCOM is a prominent futures trading platform that offers trading in this grade of crude oil. Crude oil Market Outlook with technical chart updated prior to the market opening hours every day. 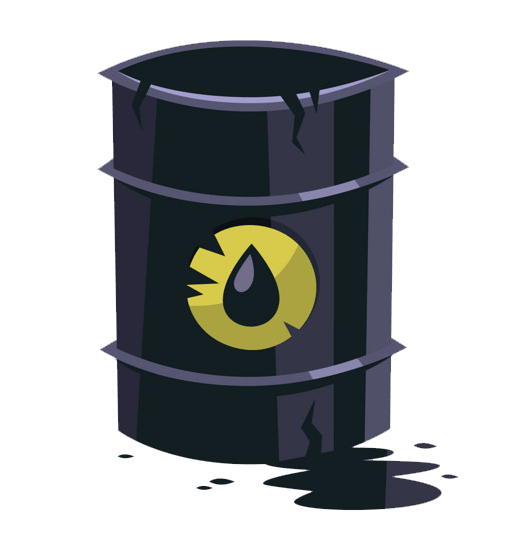 Note: The measurement of barrels per metric tonne (MT) varies from origin to origin. Crude Oil contract expiring on 19April 2018 is trading at Rs.4232/- per barrel. Prices movement Rs =100/- Per lot. Intraday trade using MIS, then the margin requirement is roughly 4.5%. Clearly, as you can margin under MIS 10 times - Just Rs.2116 *Cply.